The experiments moved on and aimed to test the results of projecting a 3D model of the object, on the actual object. In order to do so, the ‘ThreePhase Decode” application by Kyle McDonald was used.44 The first step was to scan the original object at the computer. 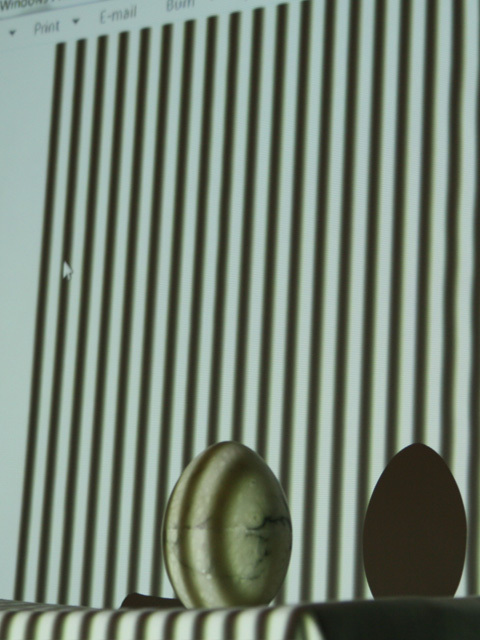 As a starting point, a ‘simple’ object was used: a marble egg. With the use of a camera, a projector and of ‘Processing’ a basic 3D scanning can take place. Initially the object is placed in a distance from the projector and the camera at a selected point in space, at an angle to the projector. The three patterns are projected on the object. Three images of the object are captured accordingly. Then, the three images (phases) are used in Processing code and a 3D model of the object is produced. With a set of variables, the render detail, the z-scale and the z-skew can be controlled. The scanning performed very satisfactorily the object selected and 3D models were produced in Processing. 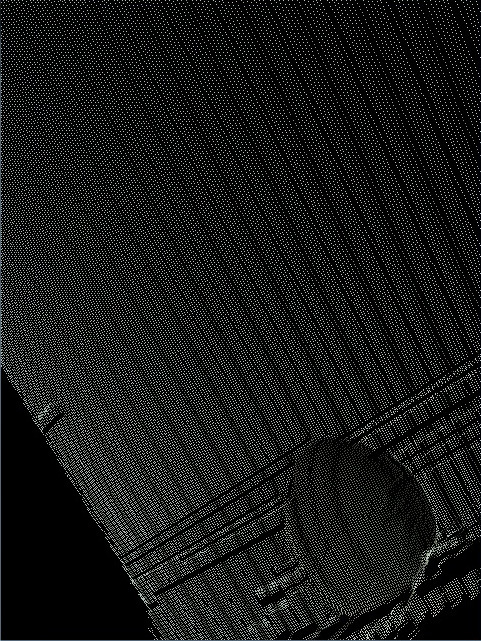 A rotation of 90o of the pattern was also examined which didn’t affect the scanning result.